We are passionate about alpacas and hiking gear. 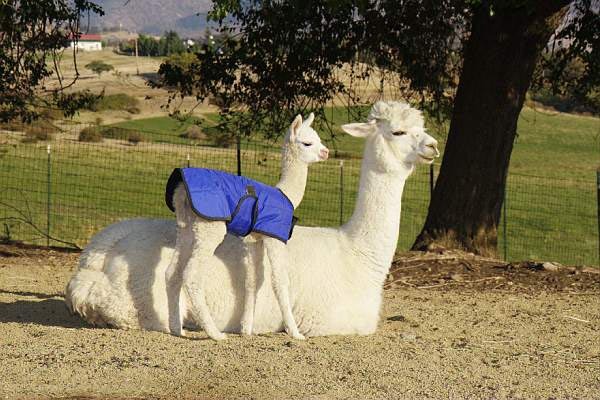 We enjoy a truly unique position in the alpaca community, having been alpaca breeders in the UK for a number of years before establishing our alpaca farm in southern Oregon. For us the challenges and pitfalls of getting started in this business are still fresh in our minds while at the same time we have a wealth of alpaca breeding and farming experience - a truly unique combination, that we feel makes our alpaca farm stand out and what's more we are happy to share all that we know with anyone who has the inclination to ask. So call by anytime and discover more about our alpacas and what makes us so passionate about them. Alpacas are gentle, friendly and increasingly in demand for their luxurious fiber. Garments made from alpaca fiber are known throughout the world for being soft, warm and durable blankets, light weight and lustrous. If ever you have chance to visit, we have a lovely store here on our alpaca farm. With their lovable dispositions and manageable size, alpacas also make wonderful companion animals. Alpacas are easily trained and are gentle enough to be handled by children. We invite you to browse through our website (and, indeed, through our alpaca farm!). We are constantly updating and adding to the site (including our alpacas for sale), so please check back often and contact us for any questions you might have.